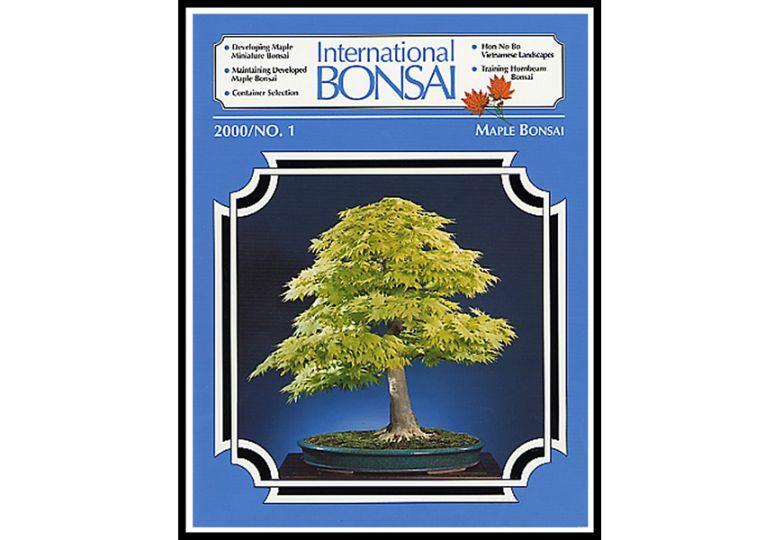 INTERNATIONAL BONSAI, the first and only professional bonsai magazine published in the United States since 1979, continues to be the authoritative English language bonsai magazine published by the International Bonsai Arboretum. It is edited by bonsai artist and educator William N. Valavanis. It is without parallel in bonsai periodicals with specialized focus on both the horticultural and artist development of classical bonsai art. As the authoritative bonsai magazine, our educational and fine production have aided and set the standards of English language bonsai periodicals. While International BONSAI is easy reading for those new to bonsai, even the most experience artist will find something new and exciting in each copy. Issues contain step-by-step articles on how to create your own bonsai, tips on how to start new specimens, where to keep your bonsai collection and how to enjoy and refine your bonsai. Descriptive line art shows step-by-step instructions on specific bonsai techniques such as propagating, growing, trimming, wiring, shaping and after care. Each issue is a “mini reference” on a particular topic or species. For example, the seedling catalog is offering a Flowering Quince, see the sample article on Flowering Quince from the 2006/NO. 1 issue listed below to see how useful that issue becomes to the future of your new bonsai material. Each time you acquire a new plant or bonsai the related back issues can guide you in the their development and refinement. It is like having the guiding hand of a bonsai master beside you. The high quality photographs clearly show in fine detail the beauty of each bonsai. Photographs are freely used to illustrate important topics as well as a gallery of developed classical bonsai masterpieces. The Japanese articles we use are translated by bonsai professionals who know the topic and are extensively edited for our English language readers who demand exact and accurate information. Each magazine also includes news on bonsai exhibits and events as well as local and mail order sources for bonsai and supplies. Our high standards of excellence are reflected throughout each well edited issues from the informative and inspirational articles and photos to the actual design, photography, printing and distribution. To receive International BONSAI magazine click on Subscribe today and join the world-wide readership not only to gain new insights, but learn horticultural and artistic focus on nearly every species trained for bonsai! 155 issues of International BONSAI have been published during the past 39 years. Each issue is a “mini reference” on a particular topic or species. For example, the seedling catalog is offering a Flowering Quince, see the sample article on Flowering Quince from the 2006/NO. 1 issue listed below to see how useful that issue becomes to the future of your new bonsai material. Each time you acquire a new plant or bonsai the related back issues can guide you in the their development and refinement. It is like having the guiding hand of a bonsai master beside you. Many back copies are available to complete your bonsai reference library. A few samples are shown above. Order your back copies from the above form for information on the sales prices. Advertise in International BONSAI, the world’s most authoritative English language bonsai magazine. It is without parallel in bonsai periodicals with specialized focus on both the horticultural and artistic developments of classical bonsai art.Your advertisement in International BONSAI will be read more than once. Most subscribers purchase back copies which are kept as their personal bonsai reference library. Botanical gardens, public libraries, arboreta and nurseries as well as bonsai organizations keep International BONSAI for their members use and reference. Keep your name in front of our active subscribers through your advertising! Click here to download the 2014 Advertising Rate Card or contact Wm. N. Valavanis for further questions. You will not be disappointed.